Can you tell which one's the real Zhou Dongyu? If there ever was a list for best celebrity wax figures by Madame Tussauds (there probably is), this one should be on it. 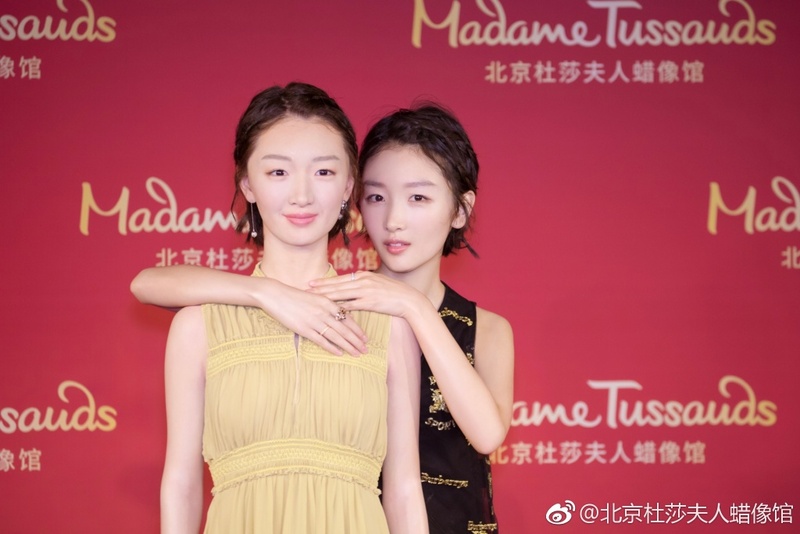 On May 18, Chinese actress Zhou Dongyu attended the unveiling for her doppelganger in Madame Tussauds Beijing. In the short time that I've been covering these, I feel like I've seen them all from downright terrible replicas, passable copies to extremely realistic. Sometimes, I wonder what makes the difference. Is it the skill of the person making it or are some faces just easier to perfect. 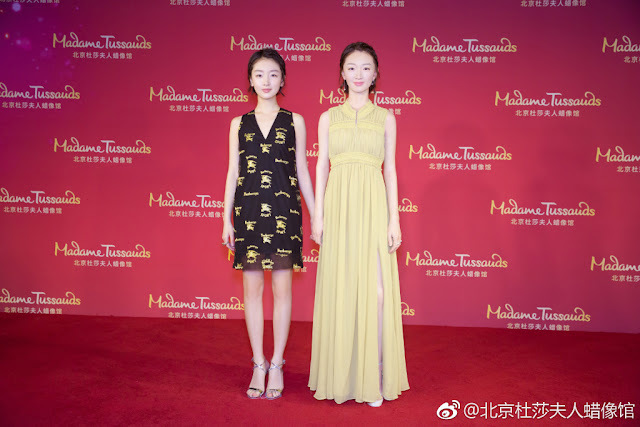 The actress had some fun at the museum and even had a photo op with Zhang Yishan who played her leading man in Ten Miles of Spring Wind Can't Compare To You. Pretty well done wax. 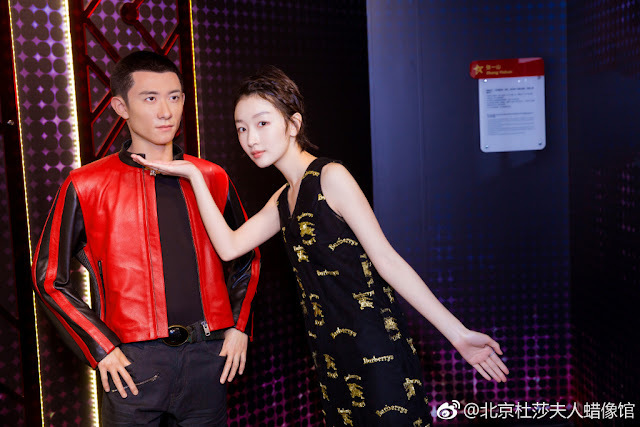 Funny how even the wax is bigger than the real person. She is so adorable I wonder why she is not taking any costume drama she would match them very much.